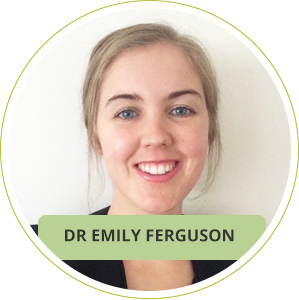 I was inspired to become a chiropractor after seeing how our family chiropractor was able to guide my mother through some health issues that she experienced whilst I was a teenager. The changes I witnessed in my mum flowed on to have a very positive outcome for our entire family. I knew that this was the path that I would like to follow in order to help improve the health and wellbeing of whole families. I earned a Bachelor of Health Science (Chiropractic) and a Master of Clinical Chiropractic from RMIT. I graduated in 2015. To stay abreast of the latest in the field, I take continuing education courses. To date, I’ve taken courses in Applied Kinesiology, Sacro- Occipital Technique and Paediatrics. For me, the most fulfilling aspect of being a chiropractor at our Healesville clinic is seeing people able to return to do the things that bring them the greatest joy. That could be playing with their grandkids, returning to the career they love or getting back into their favourite sport. Outside the practice, I stay fit by walking my dog, doing yoga and going to dance classes. I also enjoy cooking, nutrition, and reading self-development and wellness books and listening to a range of podcasts. Discover the difference that chiropractic care may make in your life. Contact True Potential Chiropractic today to book an appointment!